two powerfully jagged peaks Mt. Hood ( which Indians called Wy'east) and Mt. Adams ( which Indians called Klickitat). 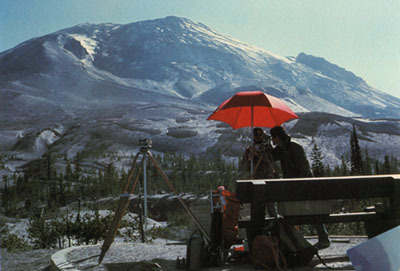 Klickitat (Mount Adams) wept to see the beautiful maiden wrapped in snow, so he bends his head as he gazes on St.
Helens. 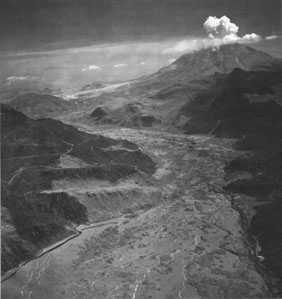 This is one of many indian legends involving Mount St. Helens. See Bridge of the Gods also. 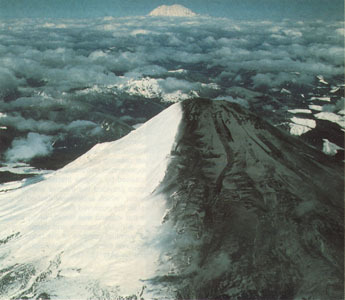 March-April eruptive activity, transforming the snow-covered Mount St. Helens into a "two-tone" mountain. other gases. 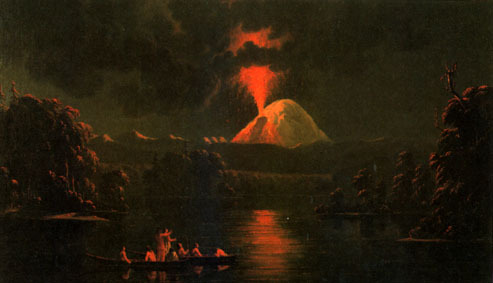 No magma (molten rock and contained gases) was tapped during the initial eruptions. within the volcano, thereby increasing the probability of magma eruption. eruption (March 27) or perhaps even a few days before. Through mid-May about 10,000 earthquakes were recorded. 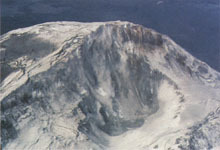 flank of Mount St. Helens. true volcanic dome exposed at the surface. place on May 18, 1980. 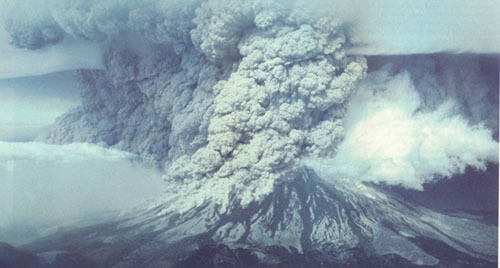 The climactic eruption in full fury in the late morning of May 18, 1980 (Photograph by Joseph Rosenbaum). May 18, a Sunday, dawned bright and clear. At 7 a.m. Pacific Daylight Time (PDT), USGS volcanologist David A. 57 people, including volcanologist Johnston. final backward look while escaping. even though we were just east of the summit at this time." quick succession of events that initiated the May 18 eruption. bottom by about 295 feet and its water level by about 200 feet. 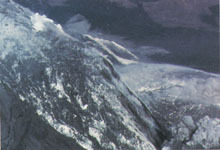 avalanche (After USGS Professional Paper 1250). vertical eruption was now in full fury. debris avalanche (Photograph by Austin Post).